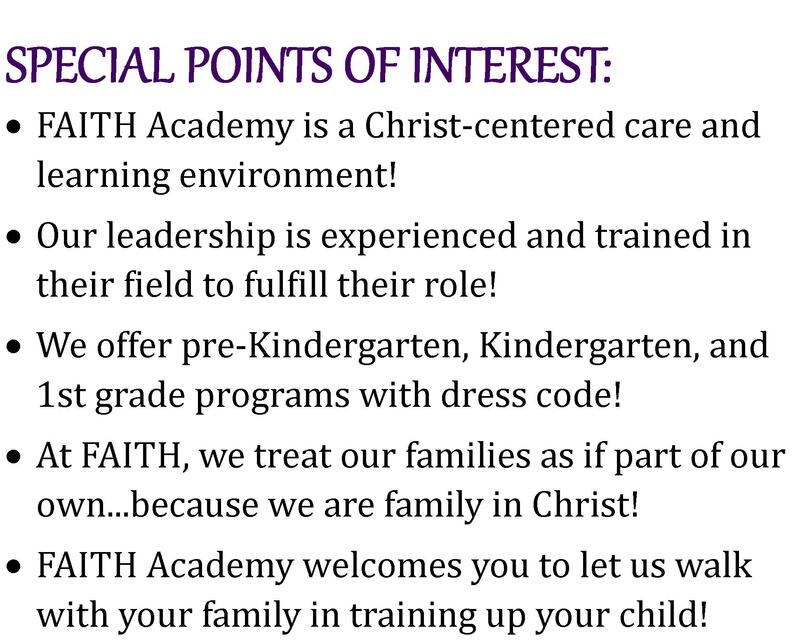 Welcome to Faith Academy Development Center where we sincerely hope this will be the beginning of a rewarding and trusting relationship between your family and us! Our Purpose...Our primary purpose is to help children grow in their spiritual, social-emotional, cognitive, creative, and physical development. We seek to create a loving, nurturing environment with an educational program that is appropriate in meeting each child’s developmental level. 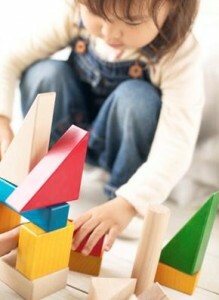 Our goal is to promote programs that include opportunities for growth in all areas of the developmental process. Our Vision…To provide quality education and care by demonstrating the love of Jesus Christ to children and their families. Our Goal…Our goal is to promote programs that include opportunities for growth in all areas of the developmental process. Our Beliefs…FAITH Academy believes the Bible is God-inspired (2 Timothy 3:16-17) and our source for wisdom in Christian living. We believe there is one God, eternally existent in three persons: Father, Son and Holy Spirit (Matthew 28:19). We also believe we are to follow the Word of God in obedience.